More than 600 students from across the state visited La Paz, where the Cesar E. Chavez National Monument is located, earlier this month for the 18th annual Day of Service, honoring the legacy of civil rights leader Cesar Chavez. 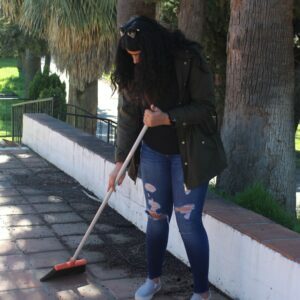 At the event, hosted by the National Chavez Center, students partake in community service projects to help beautify the grounds. “We’re hoping kids come, and they can participate in maintaining the grounds, but more importantly they will be inspired by his example and go out and be of service to others in their community,” said Paul Chavez, the president of the Cesar Chavez Foundation and son to Cesar Chavez. A student helps at the annual Day of Service event at the Cesar Chavez National Monument. 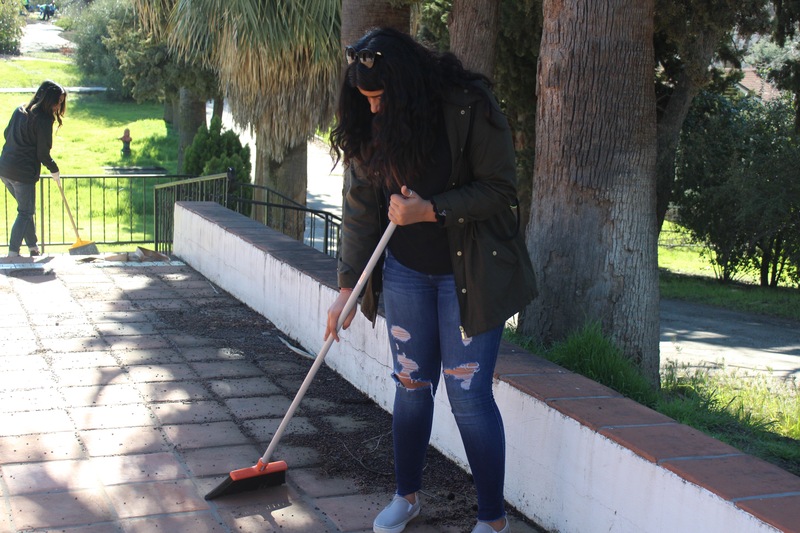 Students from Delano, Los Angeles and the Bay Area partook in gardening projects, such as pulling weeds, picking up trash and spreading mulch. Other students helped prepare lunch for the large group. Students also enjoyed live music. Cesar Chavez, the founder of the farm worker movement, spent the last two decades of his life in La Paz before he passed in April of 1993. Paul explained why La Paz is a special place for his father. Paul said he hopes the students realize his father wasn’t so different from them. He hopes the students learn if they put in hard work, they can achieve great things. Parneet is a youth reporter for South Kern Sol. She is part of South Kern Sol's Delano branch.